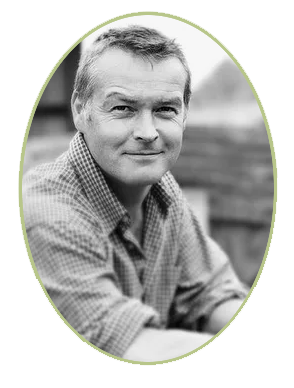 Welcome to Mortice & Green – London’s Original Sash Window Repair and Replacement wooden window specialists, producing and repairing casement windows, sash windows and wooden doors. The High Quality, Highly Experienced & Professional Family Run Sash Window Repair Refurbishment and Renovation Company. The Mortice & Green Sash window repair & replacement service comprises of a small team of highly motivated professionally trained restorative joiners – Providing top quality repairs and manufacturing the best reproduction Oak sash windows all at the best possible price. Our aim is to provide ALL our clients with a level of service and quality that simply cannot be achieved by the larger national sash window companies. We always provide honest professional advice and all our quotations are based on what is required and not what is most profitable. The services provided by Mortice & Green include all manner of wooden window repairs including sash window restoration and sash window draught proofing, in fact we can repair and replace any type of wooden window. ” High quality sash window repairs, refurbishment and Replacement with the absolute best customer care! So, whether you have a broken sash cord that needs to be repaired or perhaps cold draughty sash windows that need some renovation and sash window draught proofing – Have absolute confidence in Mortice and Green Sash Window Repairs London to provide what we feel to be the best sash window repair service in London! “I am 100% confident in your complete satisfaction, place your trust in Mortice & Green! One of the main complaints about original sash windows are rattles and draughts. As you can imagine draught proofing plays a large part in the service that we provide. As part of our renovation and refurbishment package we also install discrete draught proofing brush piles integrated within the parting bead and staff beads that hold all your sash windows in place. Draught proofing your sash windows will have a very dramatic effect on home insulation and heat retention as windows are often the main culprit for heat loss in any home. 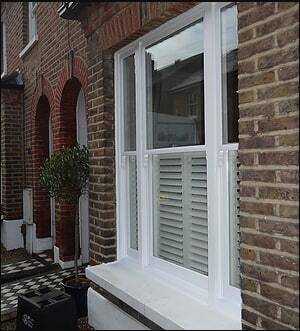 The Sash Window Refurbishment & Sash Window Draught Proofing Experts! Sash window renovation, often referred to as sash window refurbishment is a process that, upon completion should result in your original period sash windows functioning as they should and also rattle free and completely draught proofed. Replacing all the old sash cords and re-balancing all the sliding sash windows so they open and close as one would expect, replacing pulley wheels, locks and catches and all parting beads and staff beads with new timber replica beads. Combine the sash window renovation with redecoration (painting interior and exterior) and the results can be quite impressive indeed. With quality workmanship and expert sash window repair knowledge we offer both excellent customer care and what we feel is the best sash window renovation and repair service in London. It is our opinion that top quality workmanship combined with a superior level of customer care is all that is needed for any business to excel and to date we are very proud to say this ethos seems to be working very well indeed for both our clients and our sash window repair company. Innovations and improvements in building materials have had an impact on various property structures, especially sash windows. Modern homeowners give little thought to how designs have evolved throughout the years, apart from noting the advances in UV protection, glazing and energy efficiency. Surprisingly, however, a lot has been accomplished over the centuries to make these structures more durable, resilient and functional. These window styles have been around for over four hundred years and they continue to be among the most attractive and high-value options out there. The sash window is popular due to the fact that it can be replaced from inside without the need for scaffolding and also the fact that wooden windows (sash & casement windows and even wooden doors) can easily be repaired when required by qualified sash window specialists such as Mortice & Green. We make, provide and fit wooden windows including sash windows and also casement windows. 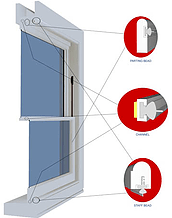 Existing windows can be upgraded to double glazed windows in combination with draught proofing a reduced rate of vat (5%) can be applied to part or all of the work order. we also manufacture and fit full box sash window replacements and full hardwood casement windows either double glazed or single glazed for both normal properties and also conservation areas and listed buildings. Sash window designs sprung up in the 16th century. They were quite popular in Europe even though their construct was quite simple at the time of their introduction. These styles were so simple, in fact, that they were only capable of opening and closing horizontally. As the option become more popular and Britain tried its hand at sash manufacturing, however, vertically opening options were introduced. These involved drilling several holes down the sides of the frame, which were then fitted with pegs to prevent slippage and other issues. This innovation made them better suited to a much broader range of applications overall. Among some of the more limiting challenges that these products faced at this time was glass that was insufficiently strong. Glass panes had yet to catch up to the sophistication and durability that these windows provided. As such, it was often necessary to use multiple panes in every sash. For instance, the typical sash held as many as ten panes of glass. Smaller panes were less prone to breakage and inconsistencies or flaws within these surfaces were much less apparent as well. Glazing bars were also necessary. These were quite thick and large during this time, which had a noticeable impact on overall window aesthetics. As the civilized world entered the Edwardian phase, however, glass became stronger, glazing bars became smaller, less necessary and less apparent, and sashes were designed with far fewer panes. In fact, some sashes held just one or two. Edwardian homes leaned towards more ornate details. As such, a lot of people wanted their windows to travel all the way from the ceiling to the floor. This was actually a very popular request. Stronger and thicker panes of glass made this possible. Both top and bottom sashes often held just two panes of glass and the top sashes were usually done in stained glass for a more colourful, lively and eye-catching effect. 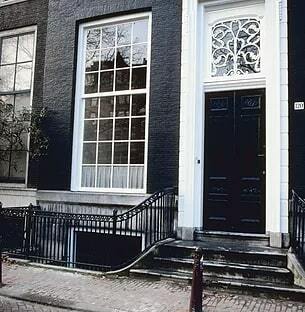 One thing to note about these window designs is that they have always been incredible durable. This remains true now given that more sophisticated building materials are still being introduced. As such, it is not uncommon for people to purchase hardwood window designs that are under warranty for a total of fifty years. This makes them one of the best property investments that homeowners can make, particularly when looking for home improvement projects that will provide excellent returns. A great example of just how durable sash windows are is found in the sash window designs that are present at Ham House in England. These windows were installed in 1670 and they were part of a property renovation that was implemented by then owners Duke and Duchess Lauderdale. These have been diligently preserved over the centuries along with the rest of the manor. Although they have undergone a number of repairs, they remain true to their original design and just as sturdy.